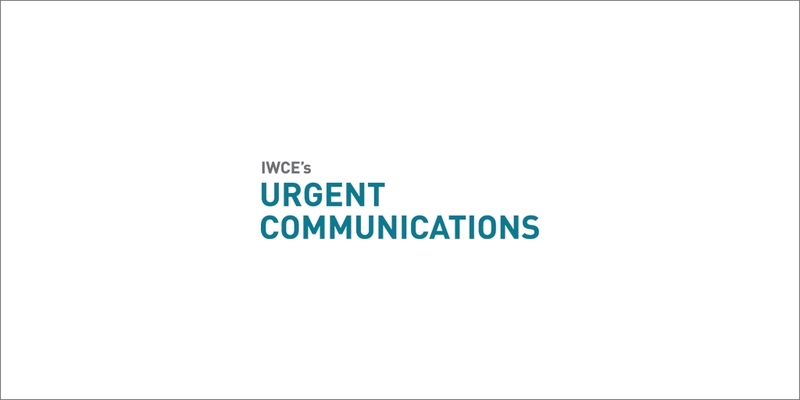 An idea that jolted George Crawford’s consciousness has swelled into a tidal wave within the international emergency alert community. Crawford, who is the earthquake program manager for Washington State Emergency Management, was pondering the aftereffects of an offshore earthquake — particularly a tsunami — when it struck him that those in the most danger are also the ones who are least likely to know what’s going on because they’re out of reach of the National Oceanic and Atmospheric Administration’s (NOAA) extensive warning system. There had to be some way to tell beachgoers that trouble was on the way, Crawford figured. “If there’s a tsunami, [NOAA] can actually send that [warning] over the emergency alert system to broadcasters and other people who send it out over the airwaves. They also send it to tone-alert radios that automatically go off [when] there’s a potential tsunami generating in low-lying areas around the coast,” Crawford said. That’s a pretty good way to get the ball rolling and the people moving in communities such as Ocean Shores, Wash. Evacuees there have about 30 minutes to move to higher ground, so it’s helpful that TV, AM/FM radio and weather radio lets them know what’s coming so they can move quickly. But people on remote beaches where the wave would strike were left with only a siren that could mean virtually anything — and on a clear day, who would identify such a warning as an impending tidal wave? AHAB is a straightforward and simple concept featuring a warning siren that converts to voice to explain the emergency. However, building this so-called simple system turned out to be a complex challenge for Federal Signal. “They wanted to warn the entire coastline of Washington State. They also had mountains where there are mudslides and they wanted to put in a … warning system to warn against these mudslides,” said Scott Cassidy, director of engineering for Federal Signal’s public safety system group. Beaches and mountains are great for vacations because they’re remote; when it comes to installing and equipping warning systems, however, remote is not good. Crawford suggested a satellite-based system for the backbone of a turnkey solution that would set off sirens, send back status reports and, most importantly, send live voice warnings to remotely located bases. Federal Signal developed a way for local authorities to activate conventional VHF radios using DTMS signaling to turn on the voice alert system; the statewide challenge was a bit trickier. “For statewide control we have a geostationary satellite that is integrated with a built-in codec to do live voice, text-to-speech messaging, play WAV files and activate the system all at once, in zones or even on a single unit on the network,” Cassidy said. But bouncing signals off satellites is expensive, even for emergencies. To cut some of the cost, Federal Signal re-designed the system to use a low earth orbiting (LEO) satellite and a short-data-burst service. “Folks want to be able to spend the taxpayers’ money as best they possibly can,” said Mike Wons, vice president and general manager of Federal Signal’s public safety systems unit. Funding always is tough to get. It’s especially tough to justify spending significant dollars to prepare for a possibility as remote as a tsunami. While Crawford received some early-on start-up money from NOAA, the 2004 Indian Ocean disaster really got the funding wave rolling. Washington Gov. Chris Gregoire threw her support behind the plan, and U.S. Sen. Maria Cantwell ponied up federal funds for 10 AHAB units. “And then the state legislature in a special session gave us enough for 20 in the 2006 budget,” Crawford said. Jenifer Rhoades, tsunami program coordinator for NOAA, is part of the wave of support for the AHAB system and a proponent of funding the program. “What’s nice about having a system such as AHAB is that these are installed on the beach,” she said. “It’s not dependent on being at home or at a business and having a NOAA weather radio; it’s a device on the beach that Washington State deploys and it automatically sets off an alert whenever there’s a tsunami warning or advisory to notify people on the beach who may not have a radio handy.” Rhoades emphasized that AHAB only is one part — albeit a key one — of an entire chain of warnings that link the agencies watching the weather and the water with first responders and the public. “It supplements the existing infrastructure and improves the overall capacity of the tsunami warning system; it’s a great demonstration of a partnership between the state and federal government,” she said. Rhoades and Wons both credit Crawford with developing and then evangelizing AHAB. Now that he has the technology, Crawford is expanding the vision. He’s currently mulling how best to move people from low-lying areas to safety after an alert is issued. “If the response community in one city like Ocean Shores said evacuate, there were no plans in place that said the cities they were going through would be ready for them by blocking off roads and making sure they could handle the traffic,” Crawford said. To combat this, Crawford visited the next-in-line counties and tribal areas through which evacuees would be moving. Getting the kind of cooperation that was needed required some work, but Crawford eventually got everybody on the same page so if an emergency does happen, there will be open exit routes. Now, when an AHAB alert is issued and people are on the move, the upstream communities will go into action, moving traffic and other obstacles to clear the path for the migrating masses. As far as Crawford’s concerned, the tragedy of that event shouldn’t happen anywhere because people should be adequately warned that the wave is coming. He said the Washington state program is serving as the model for doing so, both nationally and internationally. “It’s influenced tsunami warnings all over the world. It’s now in Alaska, California, Oregon, Puerto Rico. We’re now putting them in ports for port security; we have 10 to 12 in volcano areas; three in Seattle,” he said. The general public, of course, is the end benefactor because the system adds yet another important layer of protection to the traditional warning siren. But first responders also are getting “another tool in the tool chest” to aid emergency response and incident management, Crawford said.